China Construction Eighth Engineering Division (CCEED) has built some of the world’s largest and most complex sustainable skyscrapers. 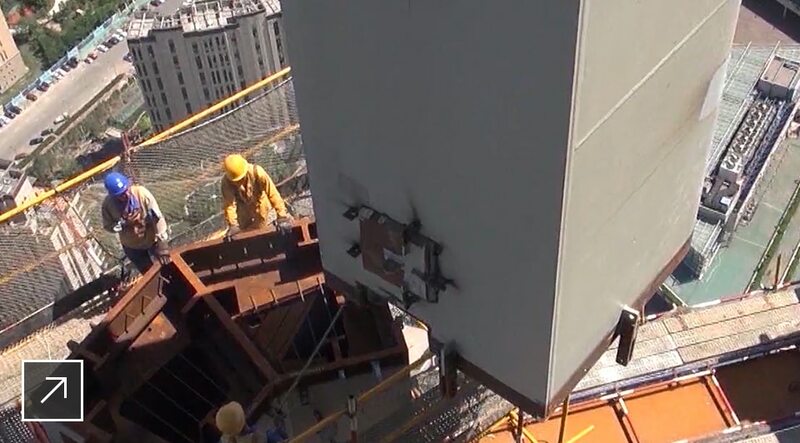 For the Tianjin Chow Tai Fook Financial Center, the company applied advanced building information modeling (BIM), prefabrication, and industrialized construction processes to build an iconic 103-story super skyscraper that meets LEED Gold standards. The company’s approach is pioneering a more efficient, accurate, and collaborative way to design and construct supertall buildings. Part of China’s largest construction conglomerate and a leader in green construction, China Construction Eighth Engineering Division was established in 1952 to provide construction services in the People’s Republic of China and internationally. CCEED’s skyscraper unit, led by Su Yawu, has erected 30 skyscrapers around the world, 20 of which are currently under construction. A construction industry veteran, Su has been working on skyscrapers for nearly 20 years. From the start, he found the skyscraper construction process was hard to control using traditional methods—which involved a disconnected mix of Excel files, model files, and project-planning tools. “It was very challenging, and I learned a lot of lessons in practice,” he says. 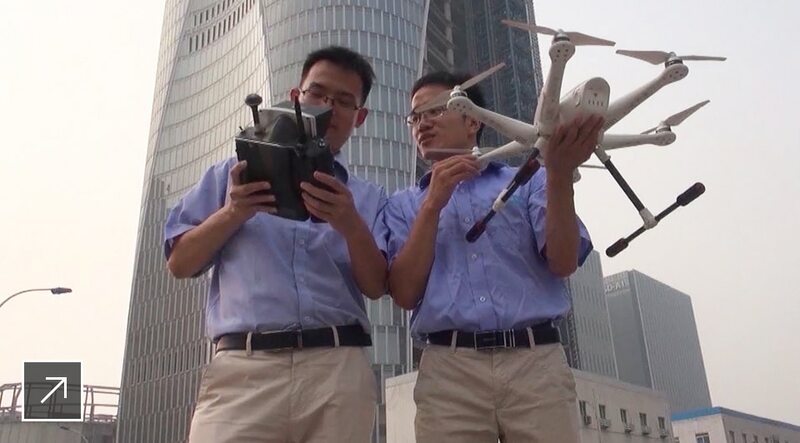 “I decided to learn all the technologies related to skyscrapers that I could.” Su now applies his experience, which includes two supertall glass skyscrapers over 300 meters, to overseeing some of Asia’s largest and most innovative super-skyscraper projects. The tower also needed to accommodate multiple uses—including retail, offices, 300 luxury apartments, and a 350-room five-star hotel—in its 390,000 square meters (nearly 4.2 million square feet). This required “over 100 different types of electrical, mechanical, and piping systems, and they all need to be combined with zero modifications,” he says. In addition to its height and complexity, the Tianjin CTF Financial Center project also aimed to meet LEED Gold global green building certification standards. Tianjin Chow Tai Fook Financial Center's structure has an aerodynamic, tapered shape and a curved structure designed to reduce wind loads and maximize structural efficiency. Unlike the straight lines of most super skyscrapers, Tianjin CTF’s internal structure is curved—shaped by eight sloping columns that increase seismic stability. 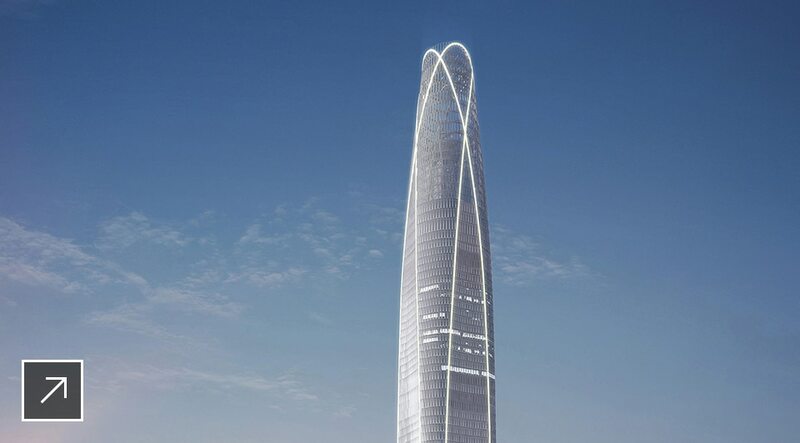 CCEED began preconstruction of Tianjin Tower in 2014, assembling a cross-disciplinary BIM team to work with a global group of designers and local Chinese construction companies. 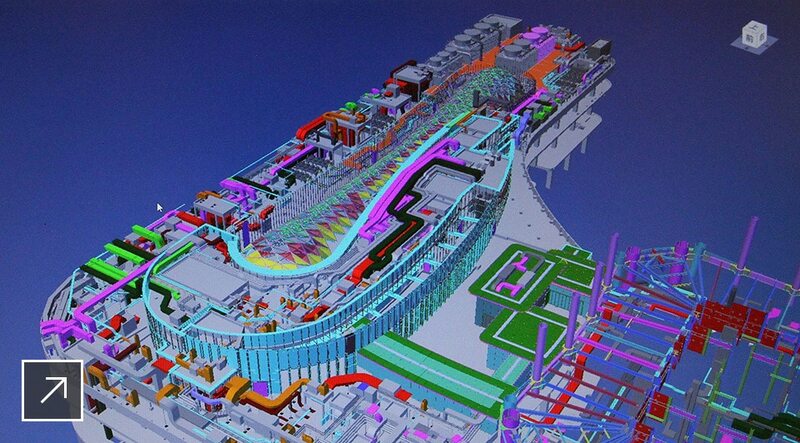 The team created 1,000 BIM models with 185,000 model components. Using Revit, team members modeled masonry panels, partition walls, piping shafts, doors, equipment housing, and other assemblies. They adjusted tens of thousands of layouts to accommodate MEP systems using Navisworks (US site). With Dynamo (US site), they generated parametric design models for the curtain wall. They output 40,000 construction drawings for fabrication using AutoCAD. 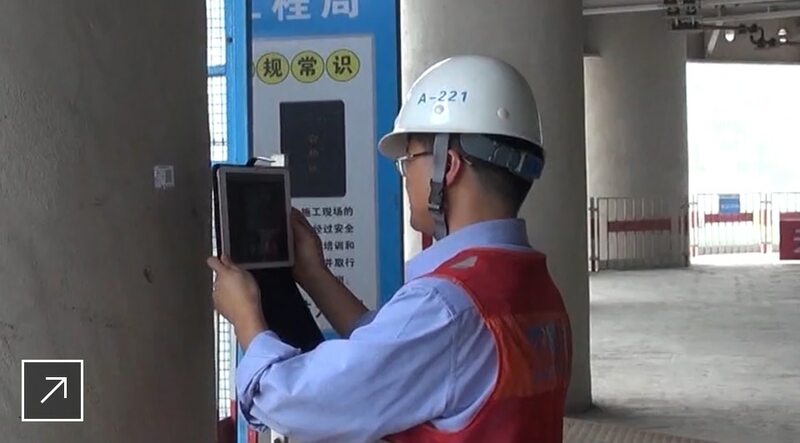 To manage the enormous amount of BIM data, CCEED developed its cloud-accessible “EBIM” proprietary platform to lightweight the BIM model and make it accessible on mobile devices. Then, the construction team could update the model on-site in real time with data captured by laser scanners and drones and use robotics to position pipe supports for accurate installation. The BIM models were also used to create VR experiences for design simulations and worker-safety training. CCEED’s 100-member BIM team rendered Tianjin Chow Tai Fook Financial Center's complex design with 1,000 BIM models, enabling designers from the United States, the UK, Hong Kong, and other countries to collaborate with local construction companies in China. Photo courtesy of China Construction Eighth Engineering Division. Using Inventor and other mechanical-design software, CCEED’s BIM team created models and assembly lists for production of the parts that make up the curtain wall, structural steel assemblies, ducting, and other components. In the factory, model data was input into CNC machine tools to automatically manufacture components to precise specifications. Each component was tagged with a QR code to integrate information for all the parts into the BIM model and track them from factory to installation. 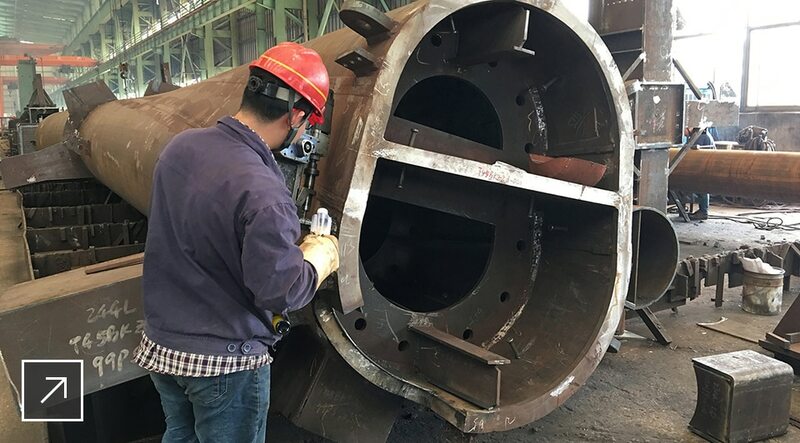 To ensure the massive structural steel components would fit together once they were assembled at the construction site, they were scanned in the factory with a 3D laser scanner to generate models using ReCap (US site) software. These models were then analyzed to assess any deviation from the original specifications, and the BIM model was updated. The tower’s massive curved structural columns were manufactured to precise specifications in a factory and transported to the construction site for assembly. Photo courtesy of China Construction Eighth Engineering Division. Located in Tianjin’s Binhai district, Tianjin Chow Tai Fook Financial Center is a landmark project that’s part of a major redevelopment plan to transform a former industrial zone into a center for world trade and finance. The mixed-use Binhai district has been developed as a model of green design that includes high-performance building standards, accessible public transport, an efficient power grid, and sustainable water management. To meet and exceed the guidelines for this sustainable urban environment, the project team set out to achieve LEED Gold certification from the project’s start. They used environmentally friendly construction processes and implemented green design elements, which include a high-performance facade that reduces heating and cooling requirements while maximizing daylight and views. By using BIM models to precisely fabricate building components and forecast potential conflicts, CCEED significantly reduced waste during construction. The team also conserved resources by using lightweight materials throughout the tower, including lightweight alternatives for more than 2,000 types of decorative materials in the tower’s luxury hotel. The Tianjin Chow Tai Fook Financial Center project is part of a major sustainable development effort in the Binhai district of the coastal metropolis of Tianjin. Photo courtesy of China Construction Eighth Engineering Division. 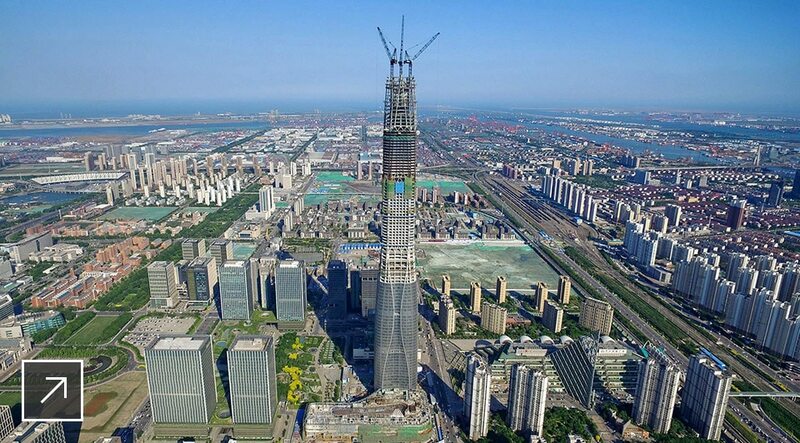 Tianjin CTF Financial Center is set for completion by the end of 2018, and it’s scheduled to open in October 2019 after 10 to 12 months of governmental review. The project has already set high standards for future skyscraper projects, winning the 2017 Autodesk AEC Excellence Award (US site) for construction. Once the project is complete, CCEED will hand over the final BIM model to the building’s owner, including BIM LOD 500 (Level of Development 500) (US site) information. The LOD 500 model reflects comprehensive, as-built data for the tower, with details such as locations of parts and their model numbers. “In this way, the BIM model can be used not only in the construction process but over the long lifecycle of the building,” Su says. 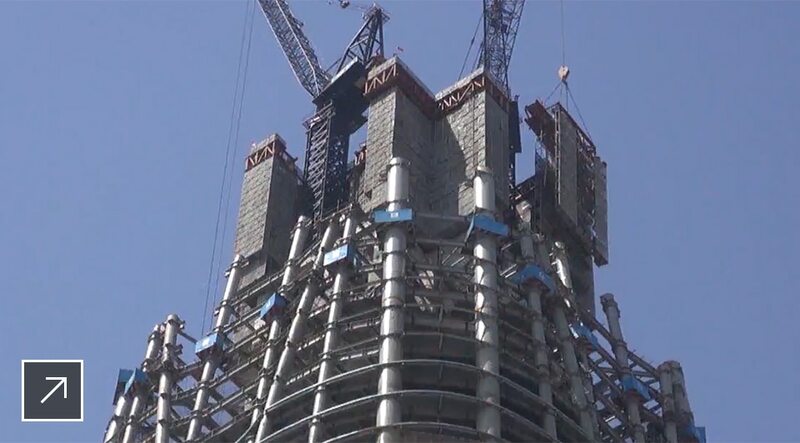 The BIM-focused, industrialized-construction process used on Tianjin Chow Tai Fook Financial Center has completely changed the way CCEED approaches its skyscraper projects. The company is applying the experience gained from Tianjin CTF toward new projects, such as a 111-floor super skyscraper in Jakarta, Indonesia. "Before this, design, construction, and materials purchasing were all different processes. Now, they’re all combined in one BIM platform, all coordinated and collaborative with each other." Tianjin CTF Financial Center is just the beginning of even bigger, more complex future skyscrapers: It’s helping Su and his team to lay the groundwork for its first kilometer-high building in China. “This approach will change the way people build buildings and skyscrapers in China and around the world,” Su affirms. Using advanced BIM, prefabrication, and automation technologies, CCEED is effectively transforming the way buildings are made worldwide, one supertall skyscraper at a time. 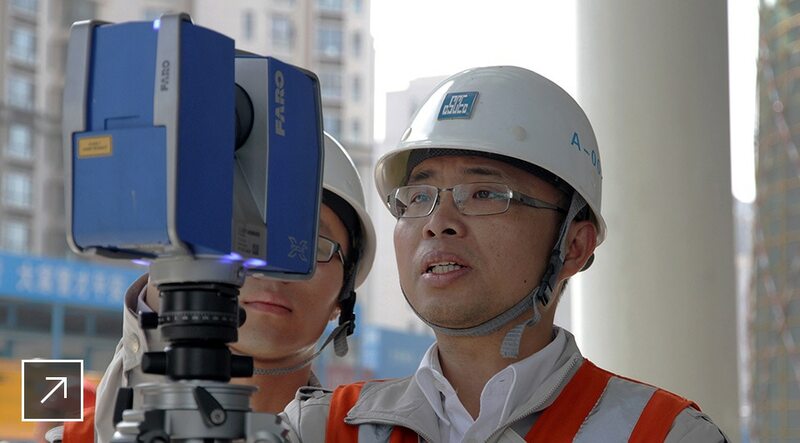 Detailed BIM models for Tianjin CTF Financial Center not only support building automation processes to streamline construction, but will also be used for maintenance and operations after the building is complete. 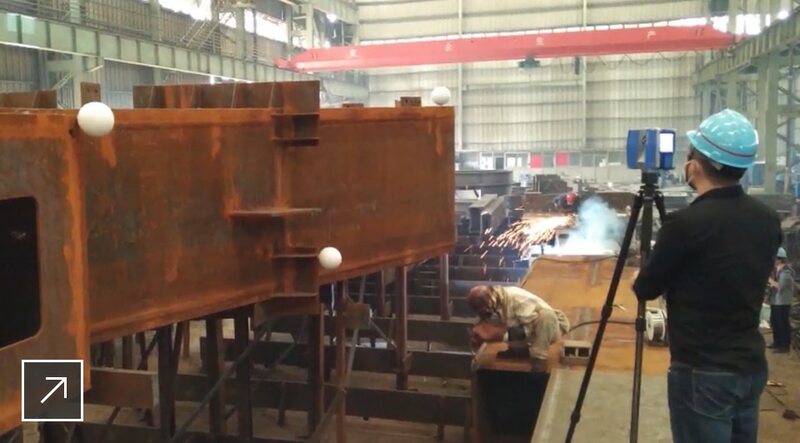 Image courtesy of China Construction Eighth Engineering Division.